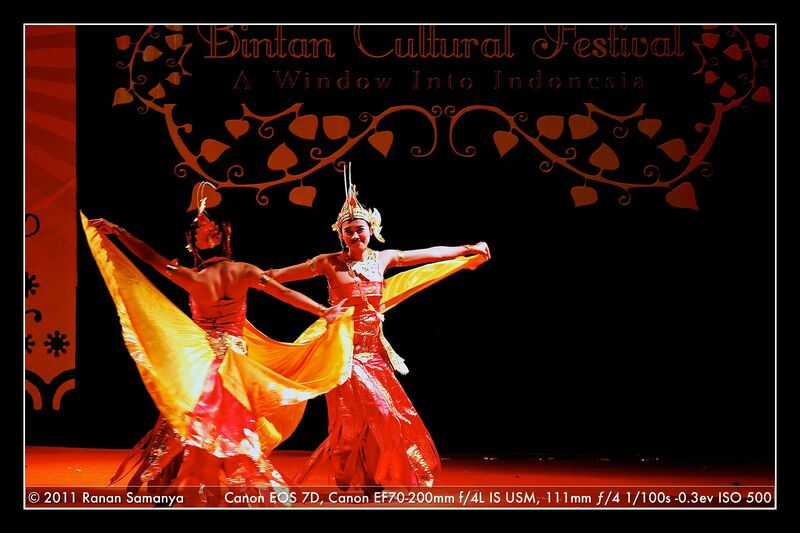 Two bird dances took part in Bintan Cultural Festival 2011. Above: the Javanese Merak (peacock) dance. 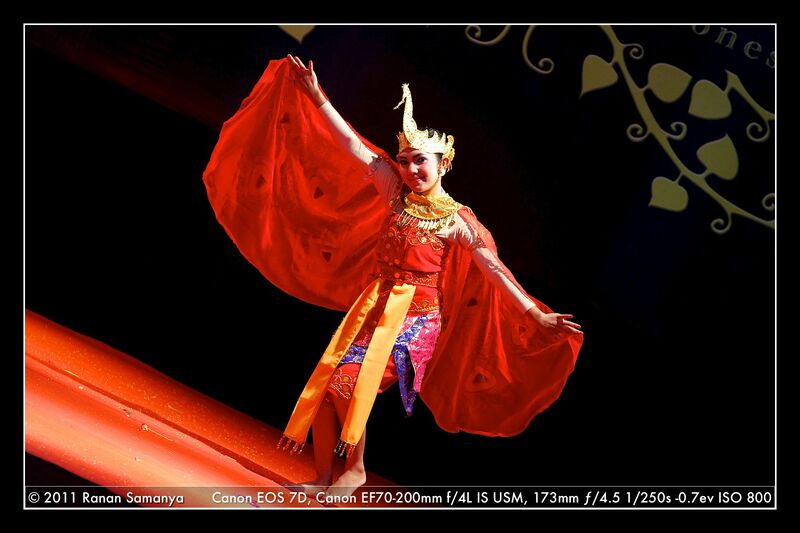 Below: Cendrawasih (bird of paradise) dance from Bali. Both imitate beautiful birds, both very popular in their respective lands. 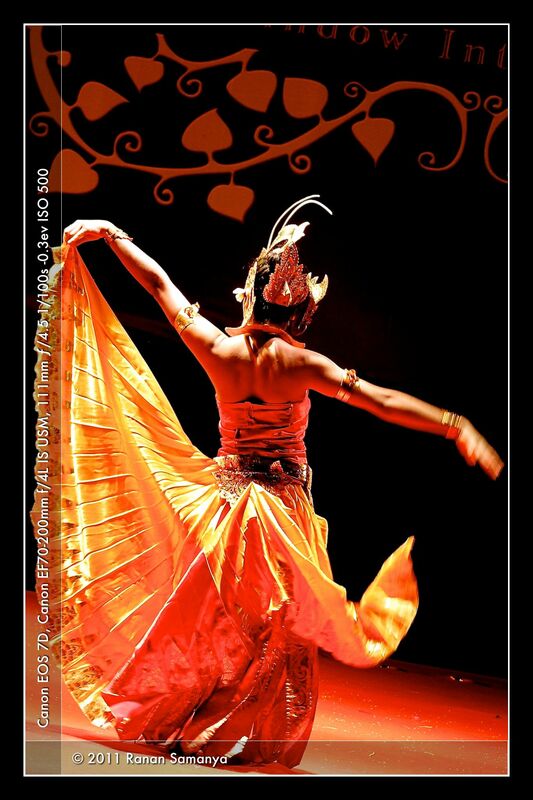 Somehow the Balinese dance has more character: the movements were flowing from the feet up to the head (including eyes), and tips of the fingers. And the two birds were dancing in harmony, in majesty. While this Central java version of Merak dance depicts movement of a peacock, the Cendrawasih dance tells story about birds of paradise during their mating season. 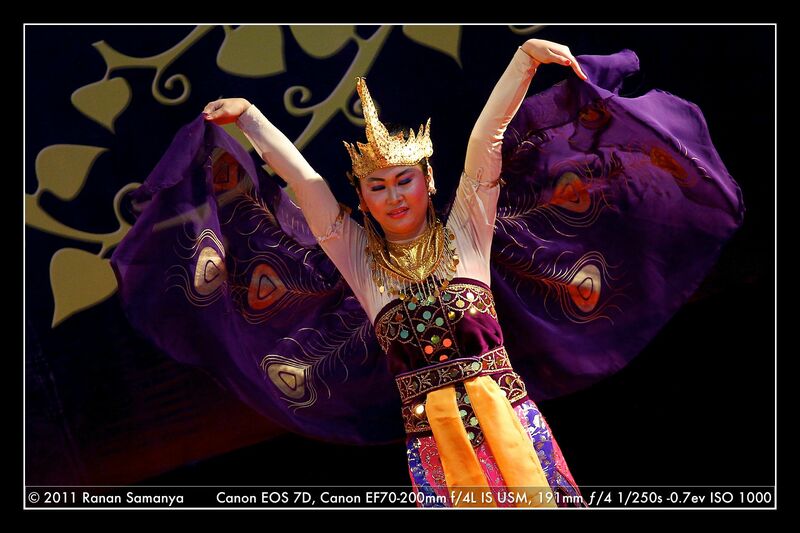 Cendrawasih dance was created in 1987 for Walter Spies Foundation Festival in Ubud, Bali, a year later. Although it follows the basic Balinese movements, N.L.N. Swasthi Bandem Wijaya, the choreographer and fashion designer of the dance, adapted several steps according to her interpretation in an attempt to find new forms of dance movement.